Julie could be your mother, your sister or your friend. She’s married and semi-retired, with three children, two grandchildren and a family dog. But the 57-year-old doesn’t want to use her last name, show her face, or be more specific about where she lives than somewhere in B.C. 's Lower Mainland. And it’s not because of the embarrassment she says she still feels after U.S. authorities permanently barred her from crossing the border last year. This story begins in 1982. Julie was in her early 20s and she’d been out at a bar with a friend. She remembers being in the car. She remembers a police officer asking them to get out, searching her purse, and finding roughly two joints worth of pot. She remembers getting a ticket. Fast forward to 2017. Julie’s daughter was attending college in the U.S., and Julie was making a routine drive down to see her, with her dog in tow. She was in the Nexus lane at the Pacific Highway Crossing when the U.S. Customs & Border Protection agent in the booth sent her inside. “I was thinking they wanted to see documents about the dog,” Julie said. Instead, after being quizzed about her trip, she got a question she wasn’t prepared for. It didn’t matter that she was never arrested or never charged. Julie had opened the door, and before she could stop herself, told the agent she had been cited for marijuana possession. Julie found herself in an interview room. She found herself giving a sworn statement. And then she found herself stripped of her Nexus card, handed a pile of paperwork, and told she was being kicked out the U.S., permanently. “And they said?” I asked her. Under the Peace Arch, near the inscription that reads, “May These Gates Never Be Closed,” we meet Len Saunders, an immigration lawyer and dual citizen who’s handled at least 3,000 cases involving border bans, many no different from Julie’s. Saunders has been operating just across the line in Blaine, Washington for nearly 20 years. Since his clients often can’t travel south to meet him, he often meets them here, on the grassy lawn, between the Canadian and American flag flowerbeds – a strip that’s neither here or nor there, where everyone is still welcome. He’s become the defacto expert for Canadians suffering border woes and we’re here to get some advice. 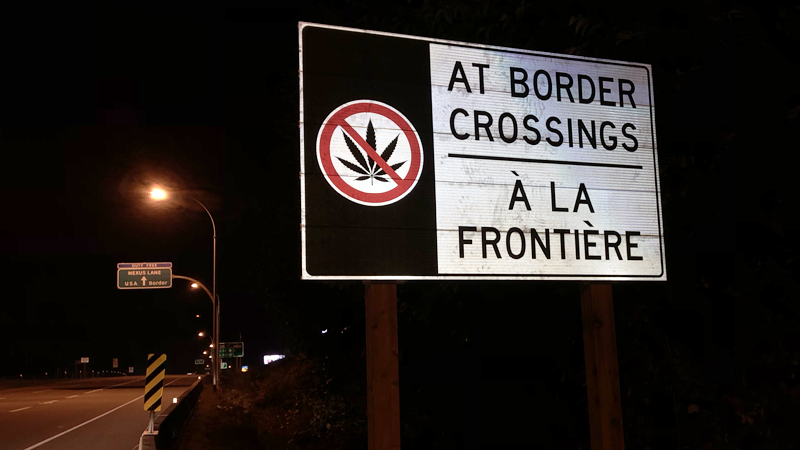 While marijuana is legal in some states, including Washington State, it remains illegal under federal law, which covers the entire U.S. border, whether you cross it at Aldergrove or at YVR. Cannabis is also considered a Schedule 1 drug, the same classification awarded to heroin, and one step up from cocaine. Any Canadian (or other foreign national) at the border can be permanently banned from entering the U.S. if they’re determined to be a drug abuser or addict. Furthermore, they can also be banned if they have a marijuana conviction or simply admit to breaking U.S. law, for example, by smoking or possessing marijuana, as Julie admitted she had back in 1982. “How long before that [policy] changes?” I ask. “I may be retired at that point,” Saunders says. And with legalization across Canada, he thinks the number of Canadians caught up in a policy he calls “ridiculous” will only increase. 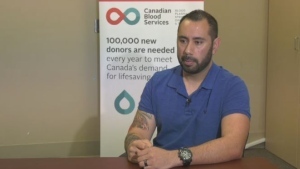 Saunders says there are a few big mistakes the average Canadian might make when heading south. And being prepared, he says, starts with having a plan before you get to the border. Here’s some of what he advises. Smartphones: Remove anything that could potentially associate you with cannabis. That includes, but is not limited to photos, stock tickers, credit card purchase alerts and banking apps. “Sanitize” your social media profiles. Leaving your phone at home could be seen as a red flag. Consider having a second phone for U.S. trips. Luggage, vehicles and clothing: Avoid clothing or accessories that a border officer might associate with marijuana. Make sure there’s no cannabis residue on your person, luggage or vehicle. For industry workers and investors: While the U.S. says it will now generally admit those working or investing in the legal cannabis industry in Canada, the change only applies to those travelling to the U.S. for pleasure, not business. And it does not apply for Canadians investing in the marijuana industry in the United States. Saunders still advises leaving business cards and anything that connects you to cannabis companies at home, as it could open you up to further questions. Never lie: Lying to a U.S. border officer is a fast track to a permanent ban. But Saunders says there are times when instead of telling the truth, you’re better off keeping your mouth shut. “Just say, 'I don’t feel comfortable answering that question. '” You’ll be photographed, fingerprinted and sent back to Canada, Saunders says, but you can try your luck with another officer, another day. It’s a sunny autumn afternoon. The maples are bright red. But it’s chilly in the shade as Julie and I walk along the screen of scraggly looking trees that mark the border. She exhales in an epic sigh. Even looking at the small obelisk marking the line brings back bad memories, she tells me, and feelings of frustration, embarrassment and shame. With Saunders’ help, Julie now has what’s known as a U.S. travel waiver, a process that cost her thousands of dollars, which has to be renewed, and which still doesn’t guarantee she can cross. She’s already had one bad experience with a border officer she says gave her a hard time. “Would you tell the truth again?” I ask.